Kurt began his career in architecture in 1977 after graduating from the California Polytechnic State University, San Luis Obispo. He has held a variety of positions with both large and small architectural firms. His work experience includes working at DMJM, one of the largest architectural and engineering firms in the country. At Keller and Daseking Architects in Menlo Park, he spent 3 years focusing on school projects. Kurt's experience also includes a number of years at Forrar Williams Architects in Sacramento. Additionally, Kurt has worked in the capacity of executive management for firms as a key player in handling deferred maintenance, critical hardships, and modernizations for school districts. He has successfully completed hundreds of projects in Northern California, including small shopping centers, industrial buildings, restaurants, a 13-story hotel remodel in San Francisco, and restoration of a 1896 building at 900 J Street, Sacramento, California. Kurt is currently licensed in California and Nevada. In recent years, Kurt has been involved in dozens of car wash and fuel related projects in addition to continued projects for religious organizations and other retail projects. All projects include forging good partnerships with local agencies, planning administrators, and county health departments as an integral part in the completion of these projects. As a founding partner of K12 Architects in 1998, Kurt has succeeded in establishing a professional service oriented company. Steve is a 1989 graduate of the Phoenix Institute of Technology and a licensed California state architect. He apprenticed that same year for a small, diversified firm in Vacaville, California. His experience includes quite a varied project list including industrial and commercial buildings, religious and private schools, churches, fire stations, custom residences, car washes, and any type of above ground or underground fueling system. Steve has even produced plans for an 180,000 square foot tomato processing plant in Vacaville, California. Steve's experience includes work at an architectural firm that specialized in high-end custom multi-use service stations for Chevron, Shell, Acro, Valero, 76, and other major fuel brands, incorporating dual branding sties that included McDonald's and Jack In The Box. Steve took the lead early on in his career as project manager for several chruch projects in the North Bay of California in cities including Vallejo, Fairfield, and Vacaville. In recent years, Steve has been involved in dozens of car wash and fuel related projects. As a founding partner of K12 Architects in 1998, Steve is dedicated to exceeding his client's expectations. Brian is a graduate of California Polytechnic State Univeristy, San Luis Obispo, and earned his Bachelor of Science in Architecture in 1977. Brian has been a licensed architect for over 28 years and has been involved with various building types including retail, office, correctional facilities, service stations, municipal and militiary facilities. He is currently licensed in California, Nevada and Oregon. As a project architect, Brian has taken the lead in managing projects from design through construction, directed project design teams, and has supervised large production staffs. His experience in both large and small architectural firms, and for multi-disciplinary architectural and engineering firms, has provided him a great platform for developing strong consultant relationships necessary for managing project teams. 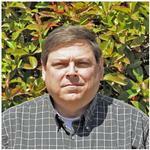 Brian has extensive experience in the writing of technical specifications. He is a Certified Construction Specifier and holds a membership in the Construction Specification Institute (CSI) for the past 27 years. Additionally, Brian has been involved in forensic architectural investigations and is LEED AP certified and NCARB registered.